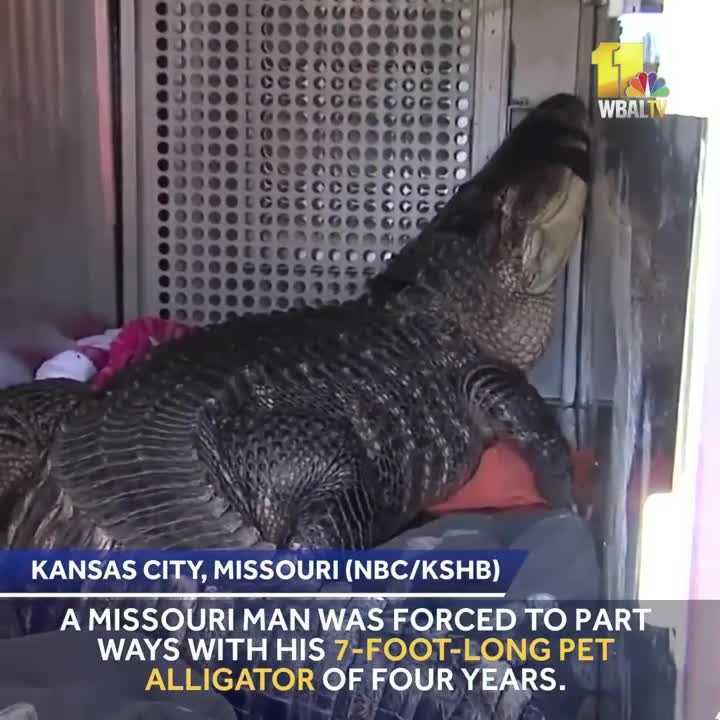 A Missouri man was forced to part ways with his 7-foot-long pet alligator of four years. Animal Control captured the alligator, Katfish, from the home of his owner, Sean Casey. A sheriff's deputy serving an eviction notice alerted Animal Control after he spotted the 200-pound gator.